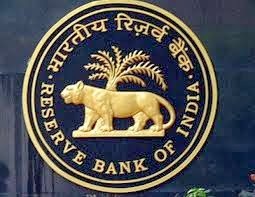 About Organization: The Reserve Bank of India was established on April 1, 1935 in accordance with the provisions of the Reserve Bank of India Act, 1934. The Central Office of the Reserve Bank was initially established in Calcutta but was permanently moved to Mumbai in 1937. The Central Office is where the Governor sits and where policies are formulated. Qualification: Candidates should pass minimum Std X, maximum undergraduate. How to Apply: Eligible candidates can send their applications in the prescribed format along with attested copies of all relevant documents/certificates regarding age and educational qualifications, latest passport size signed photograph, etc in a cover superscribed “Application for the post of Security Guard”, should reach to the Regional Director, Reserve Bank of India, Human Resource Management Department, Recruitment Section, South Gandhi Maidan, Patna-800 001 or maybe deposited in the box kept at the Reception Center of RBI’s Main Office Bldg, South Gandhi Maidan, Patna on any day between 10:15 am to 05:00 pm on week days except Saturdays, Sundays and Holidays on or before 30-04-2014.